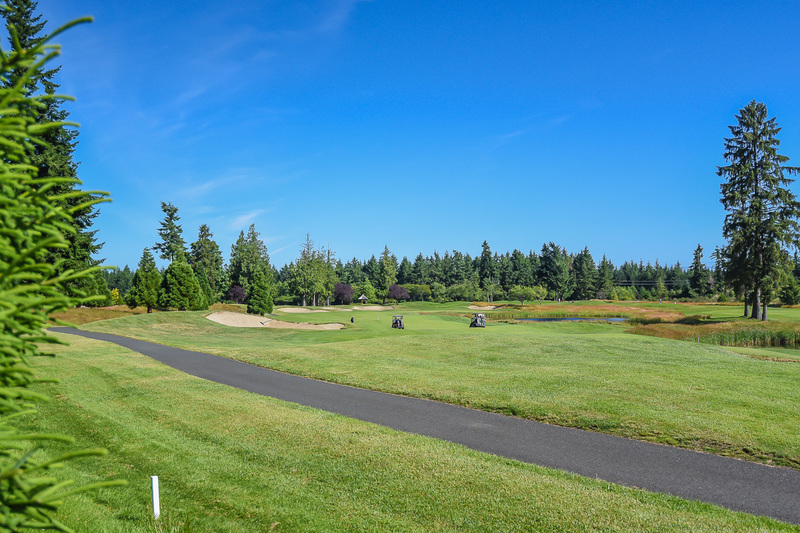 Spectacular sunrise and coast mountain views across the 3rd, 4th and 5th fairways! 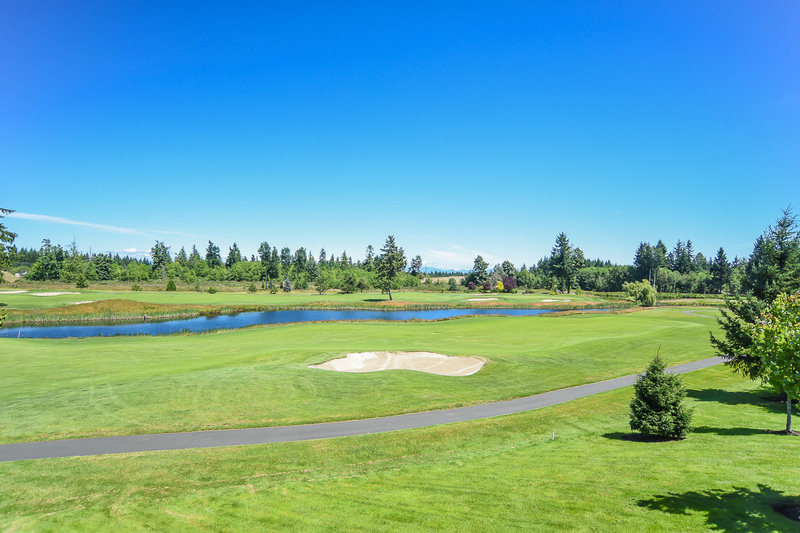 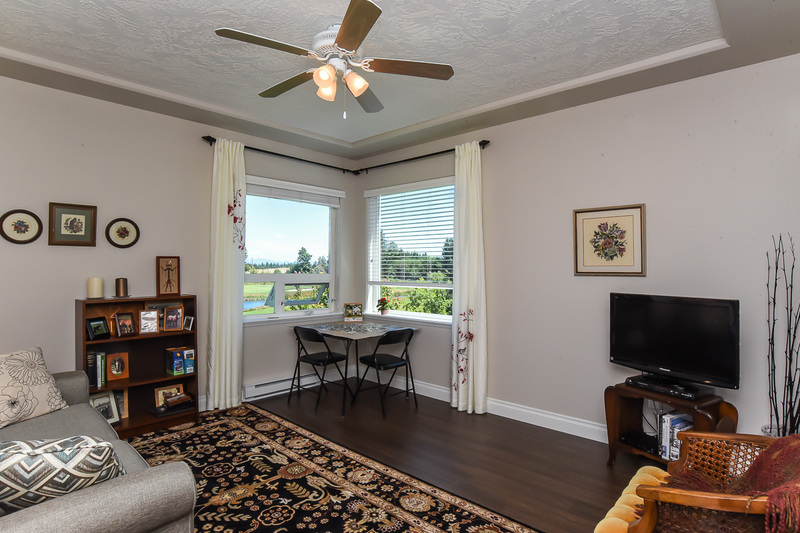 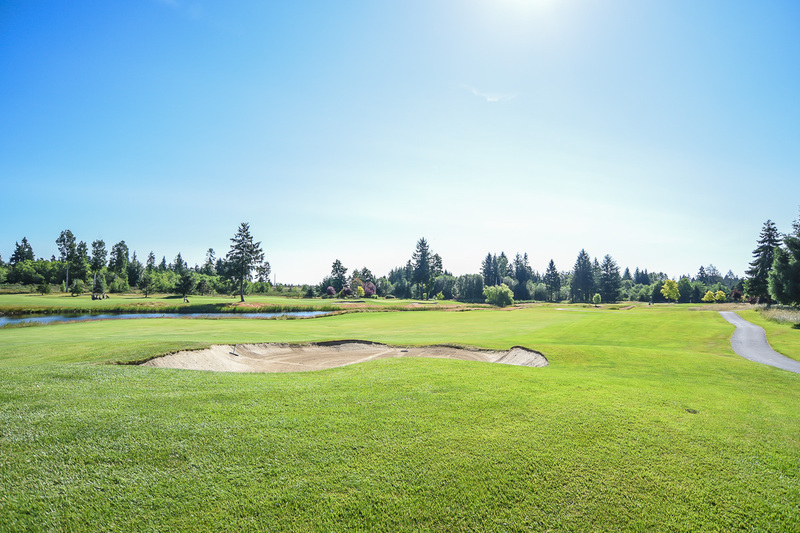 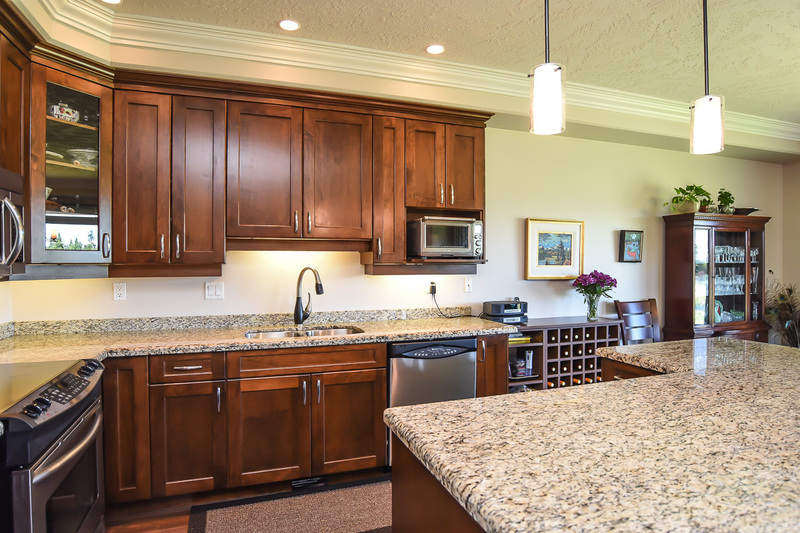 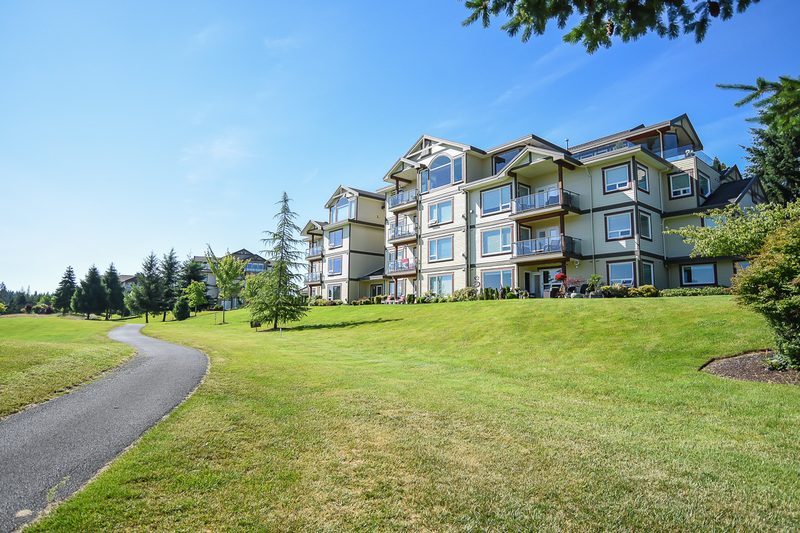 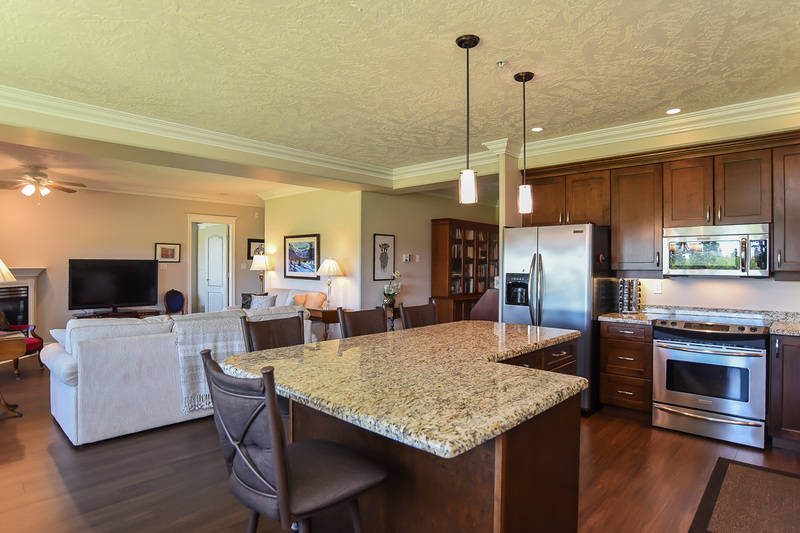 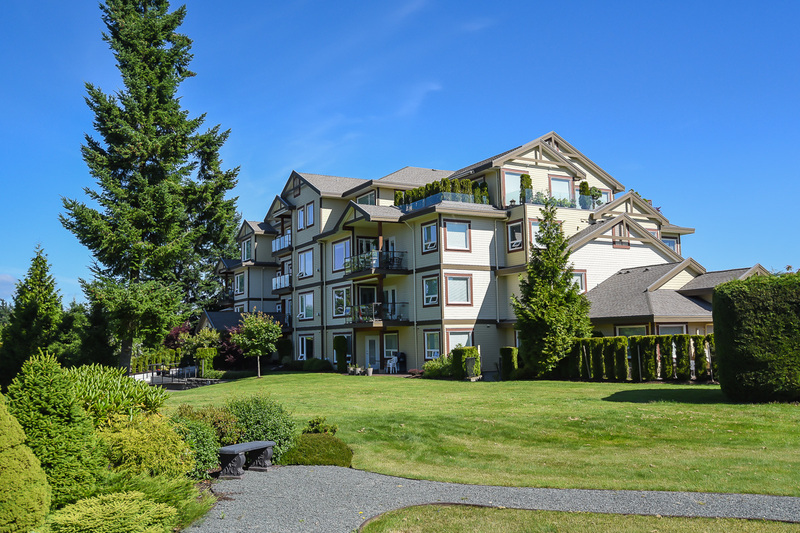 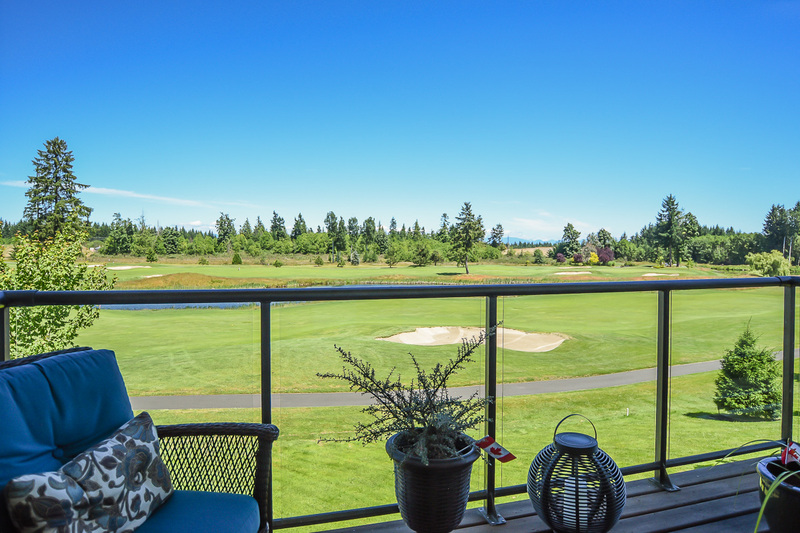 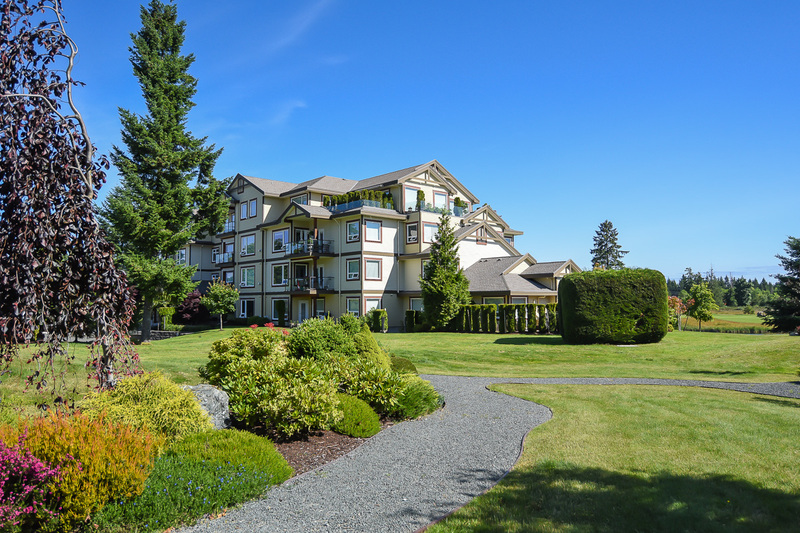 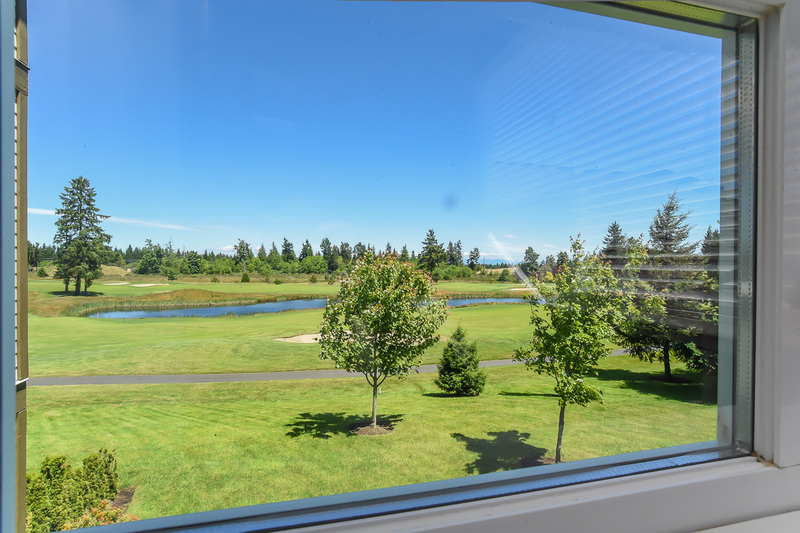 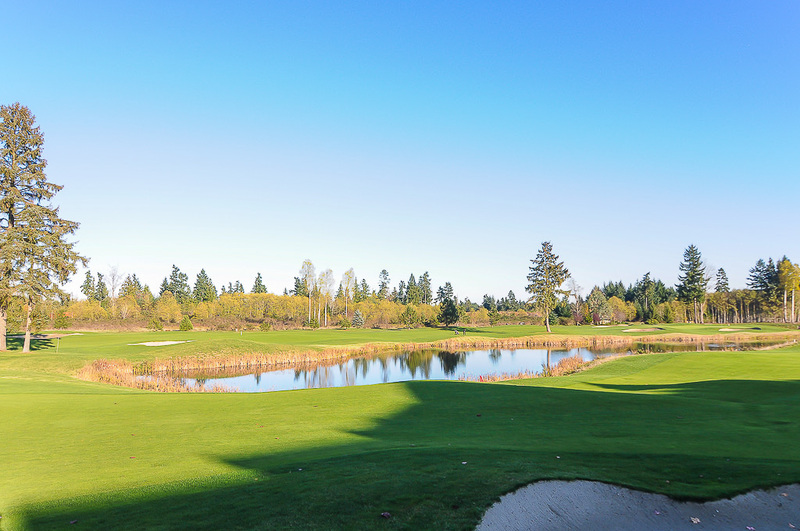 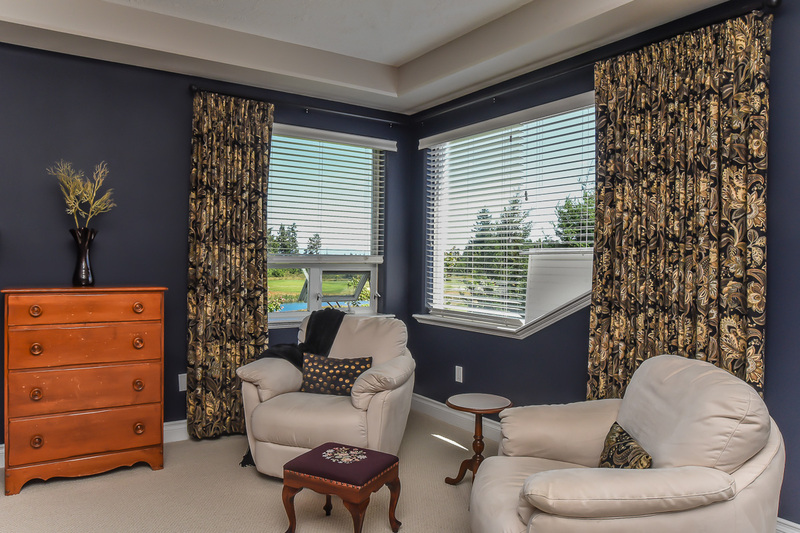 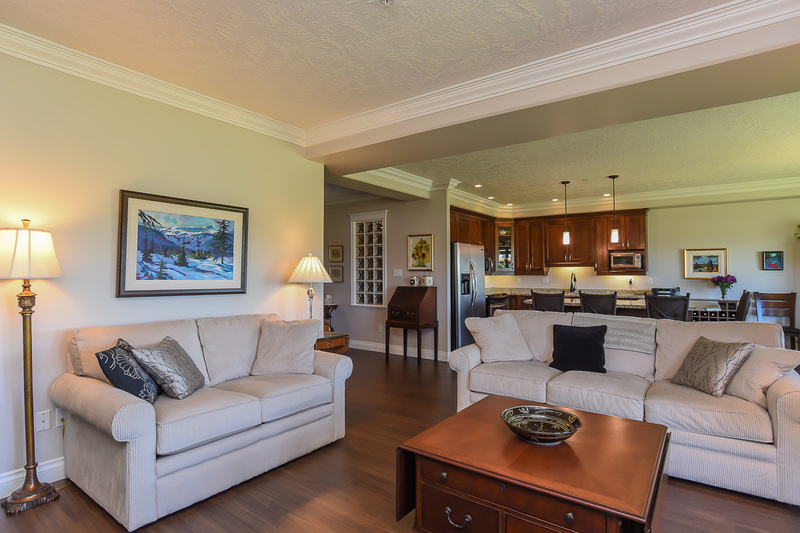 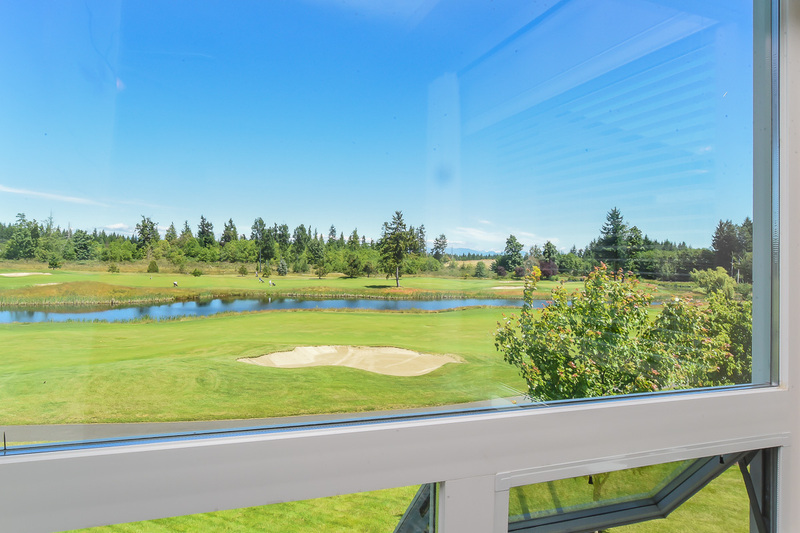 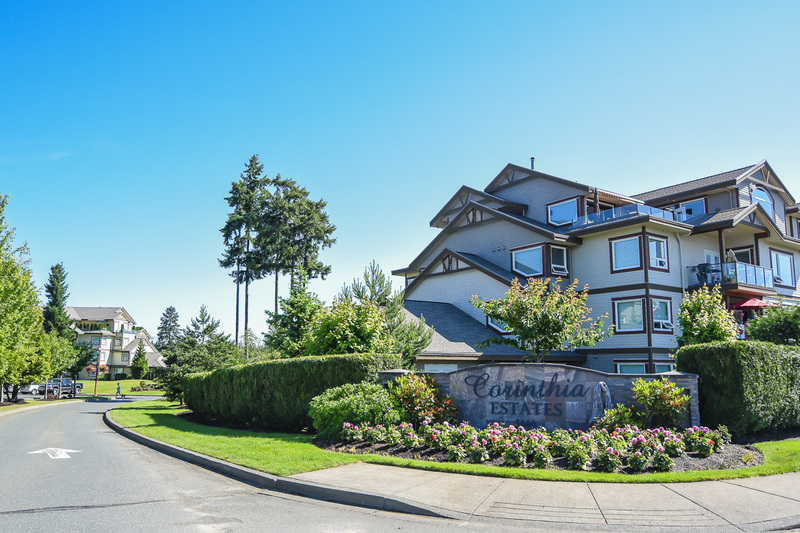 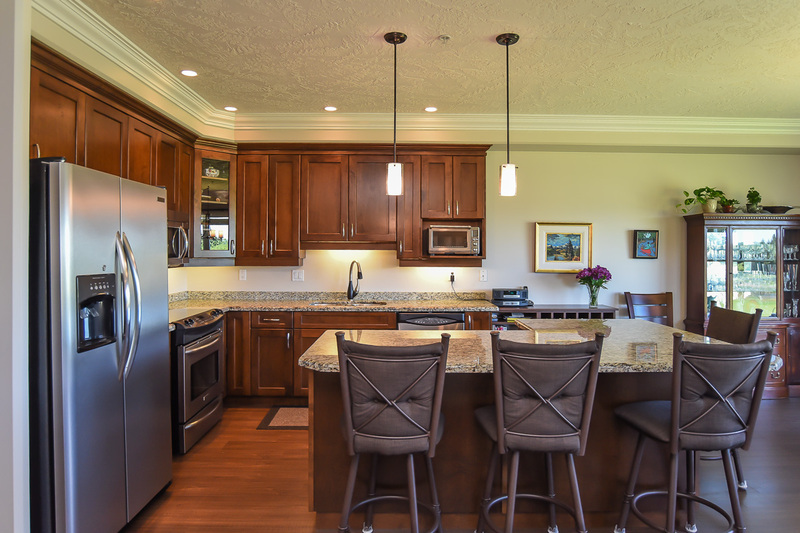 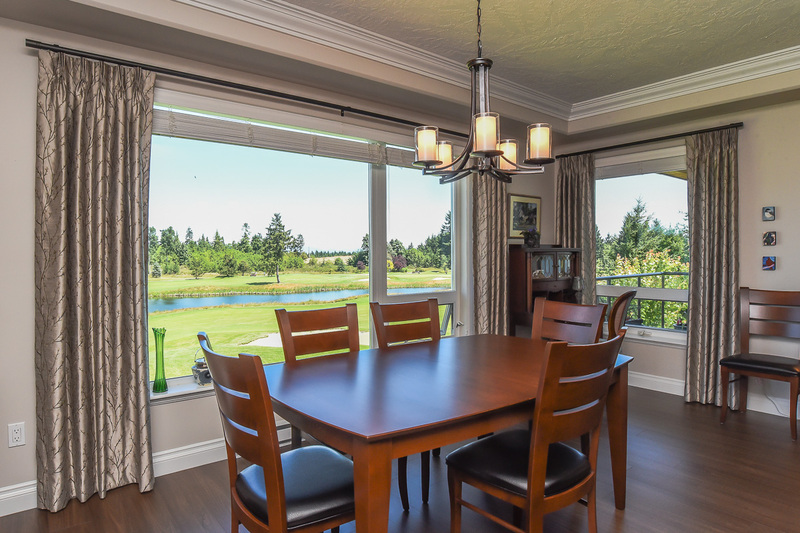 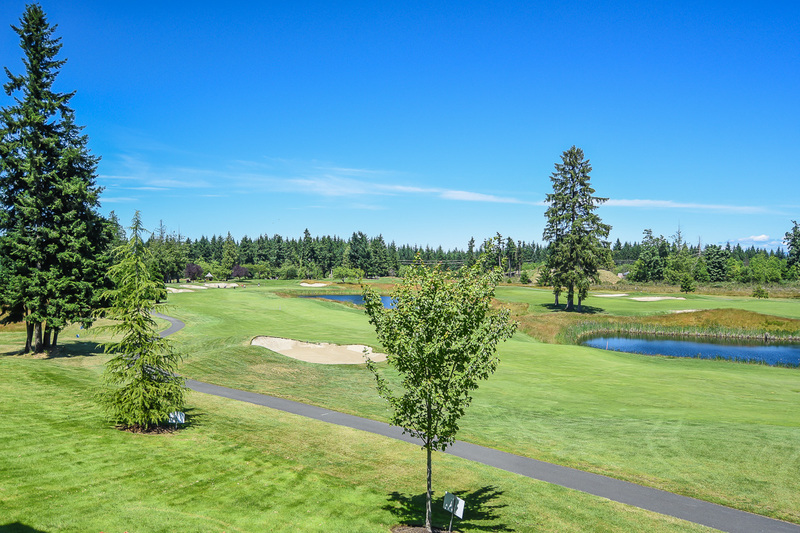 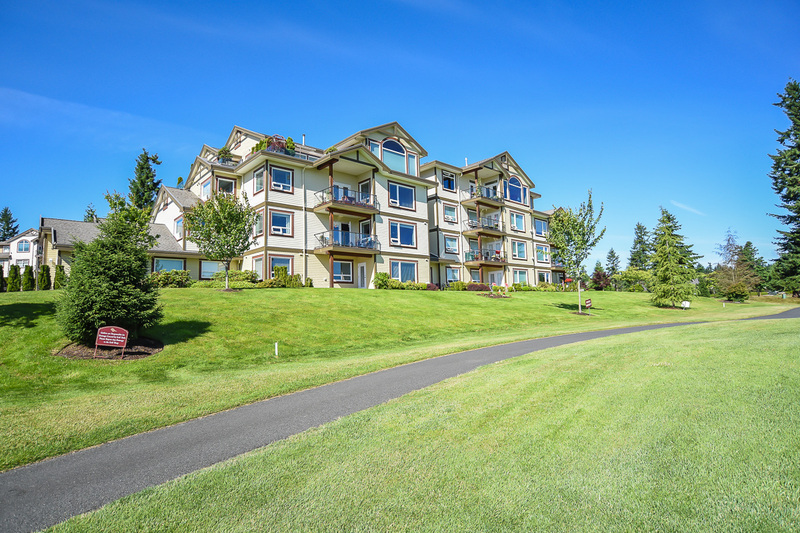 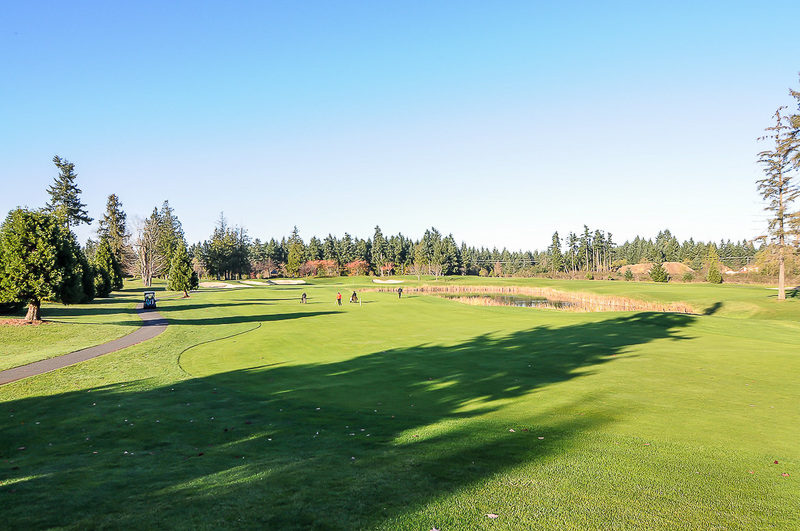 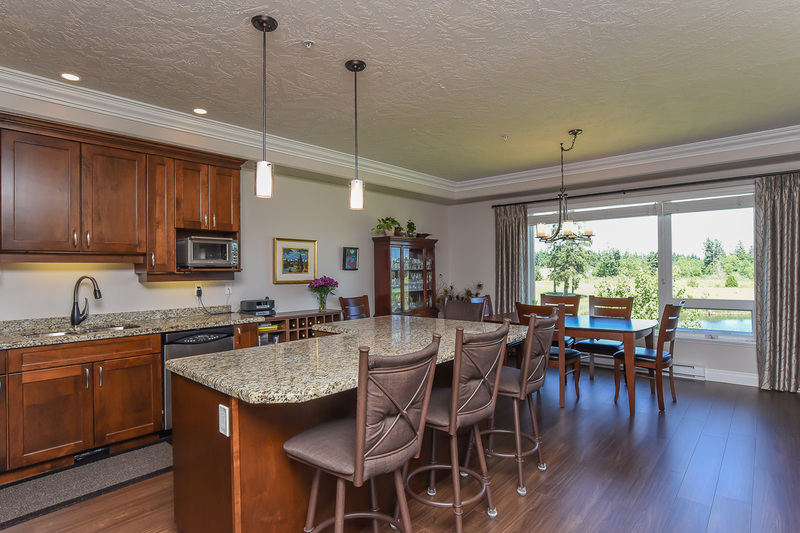 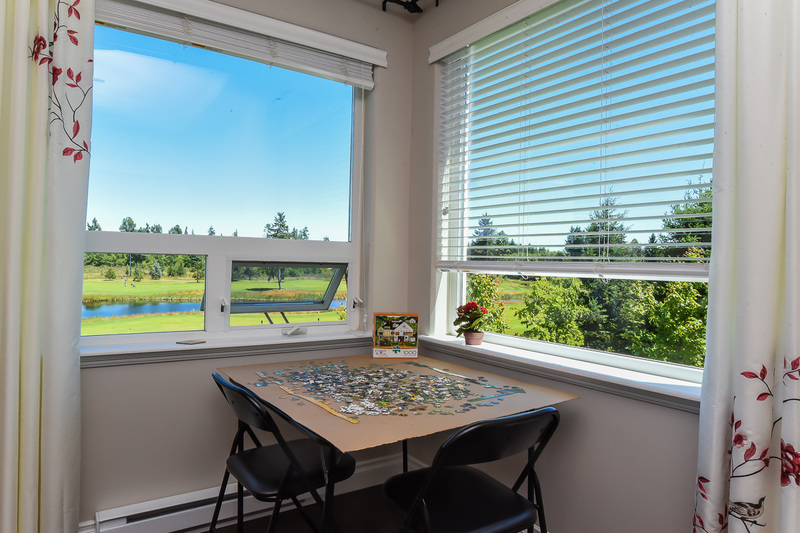 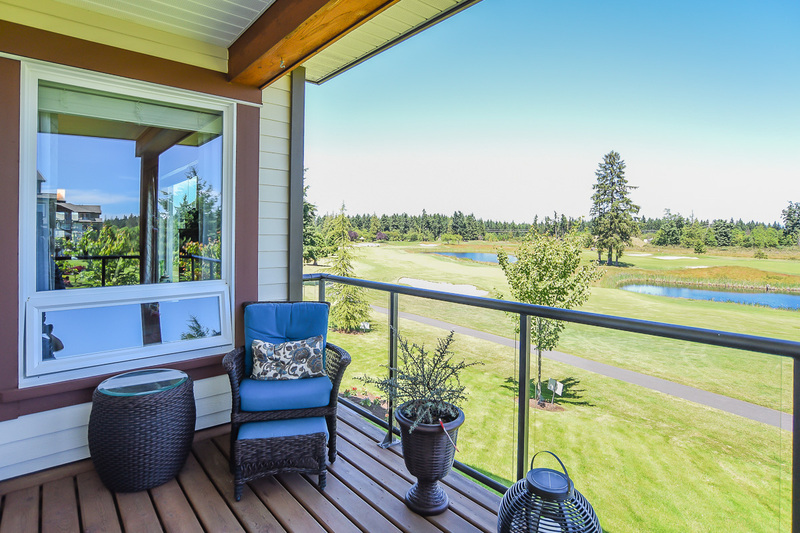 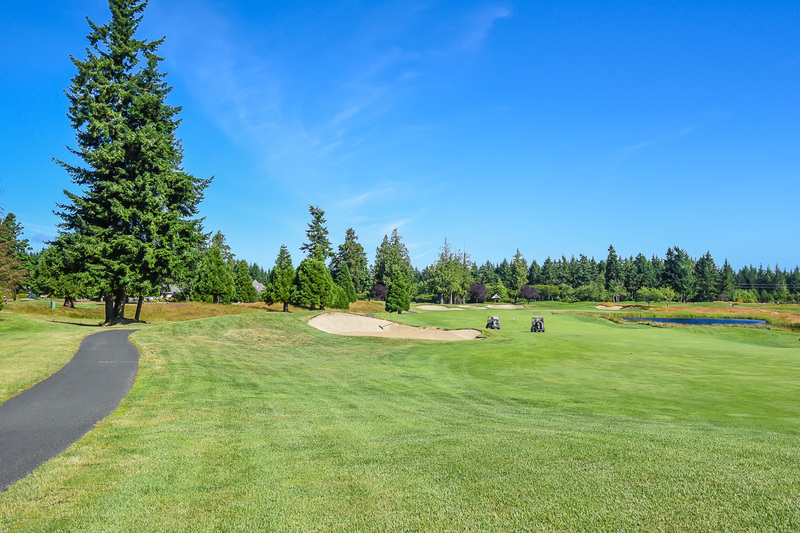 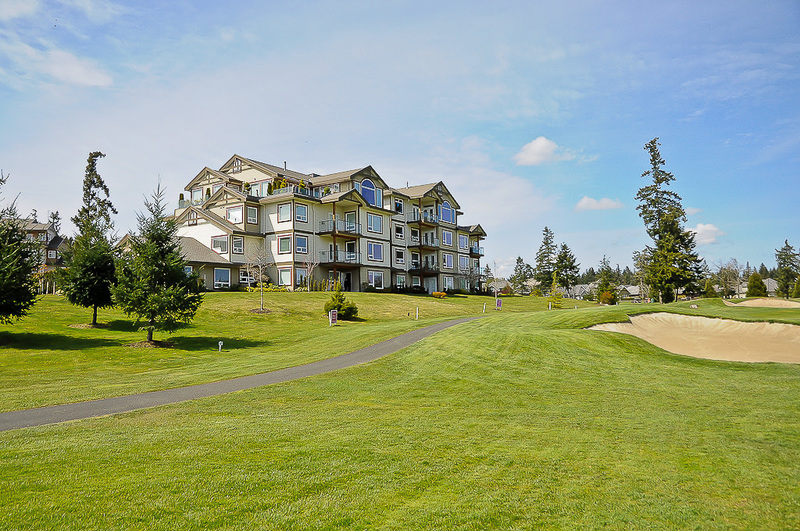 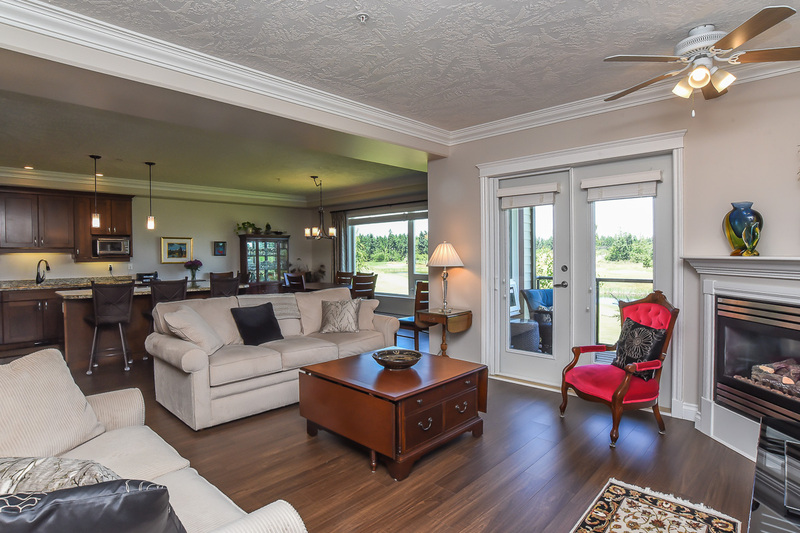 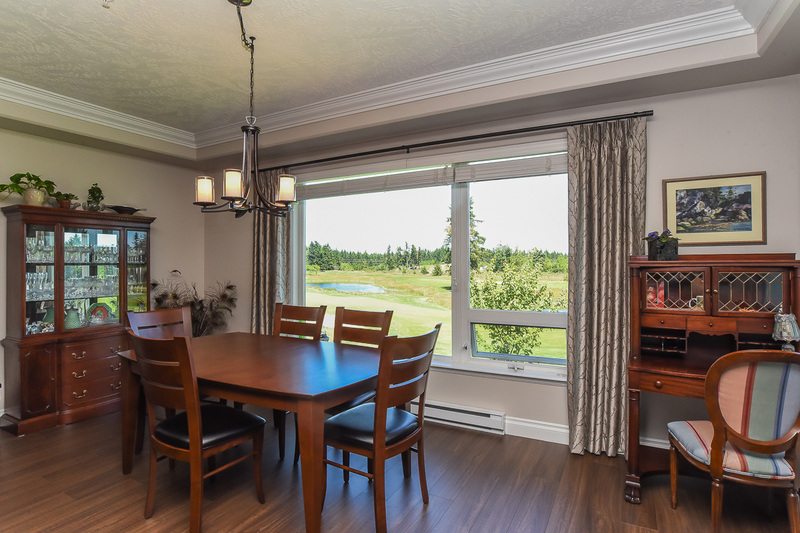 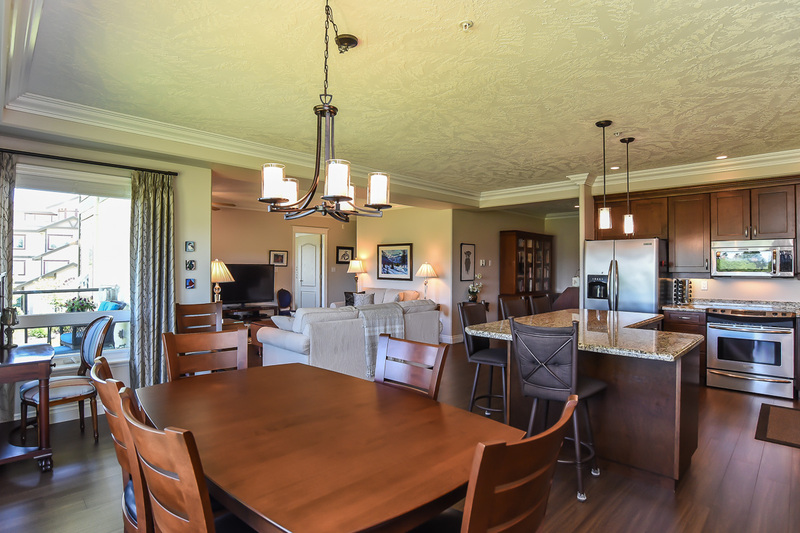 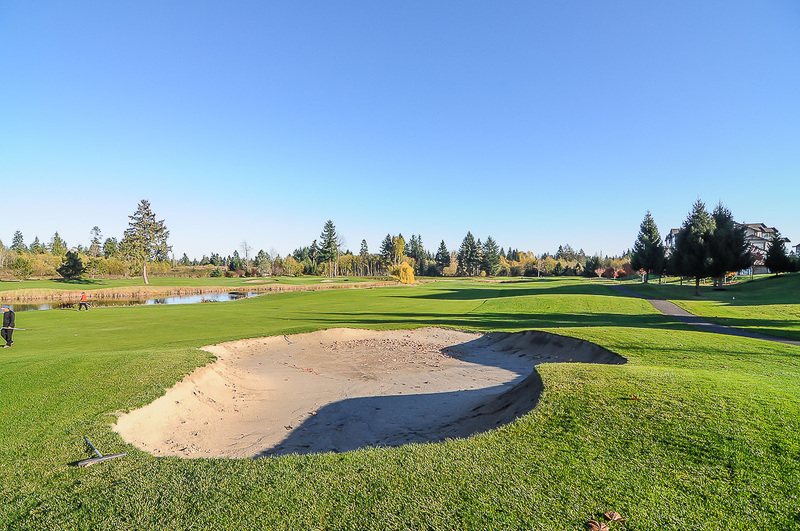 Luxury living at Crown Isle Golf Resort, Corinthia Estates offers a gorgeous corner unit 1,753 sf, 2 BD/ 2 BA plus den. 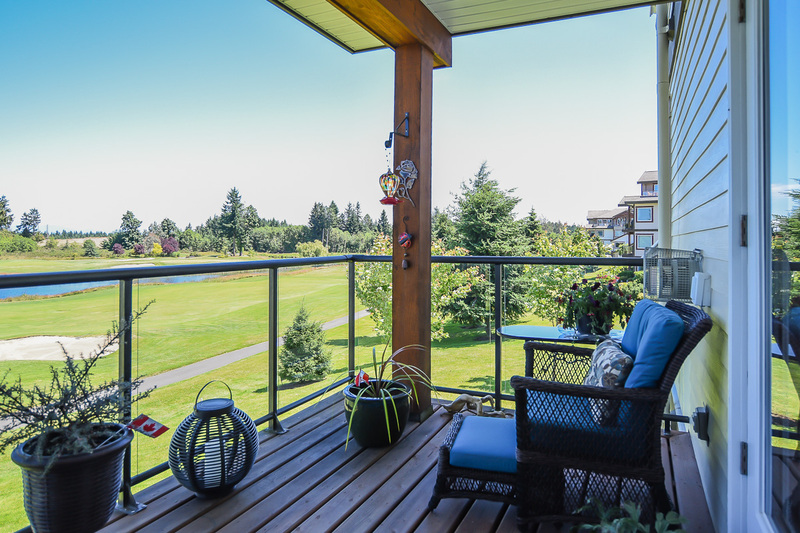 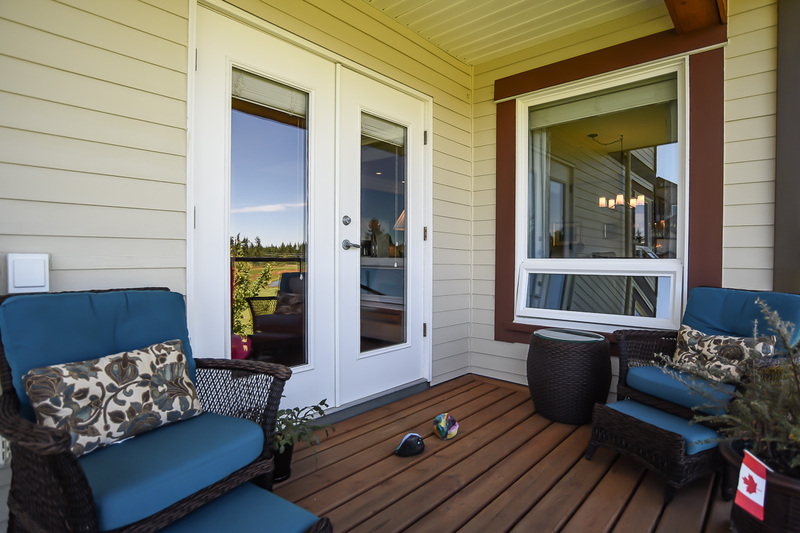 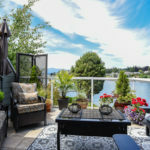 Relax on the covered deck for morning coffee and evening cocktails, enjoy the BBQ hook up with natural gas. 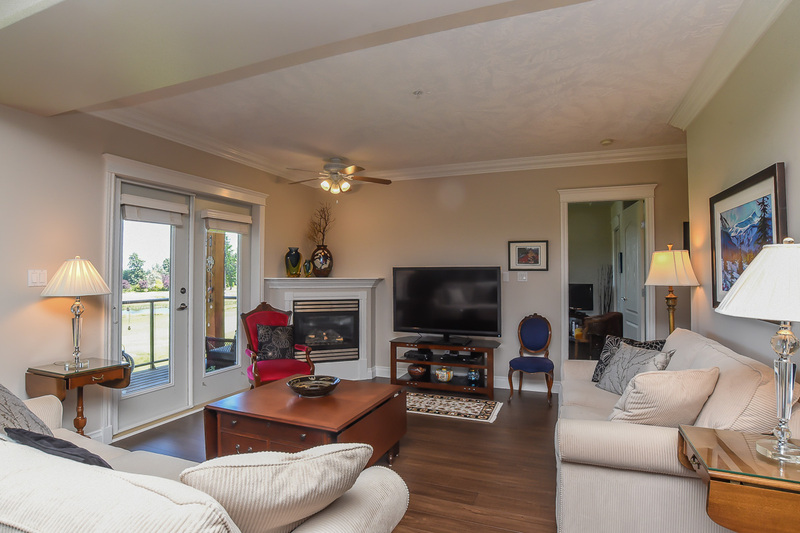 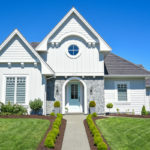 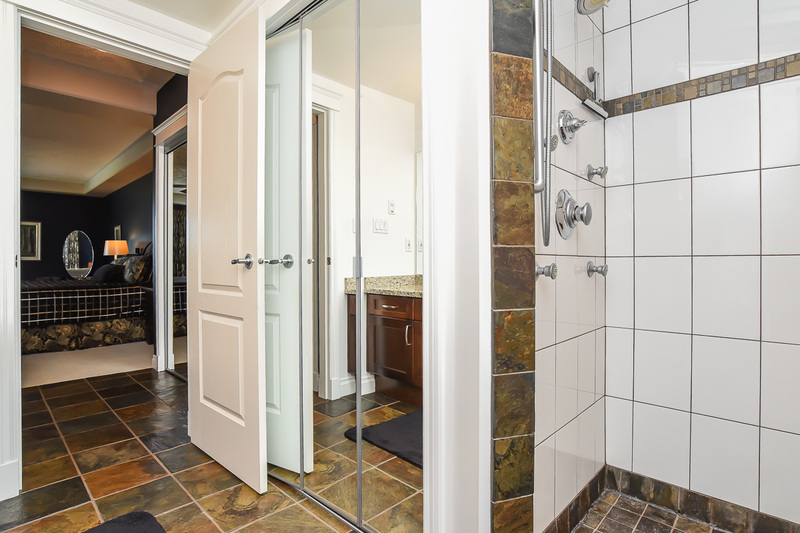 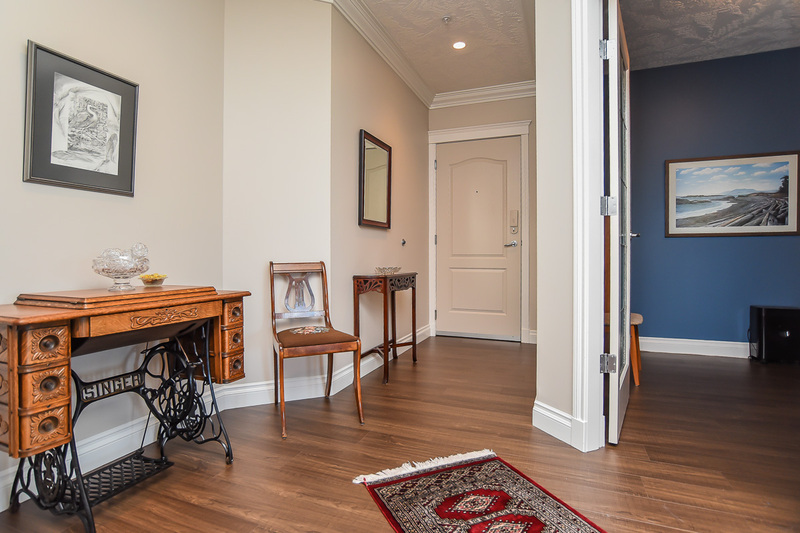 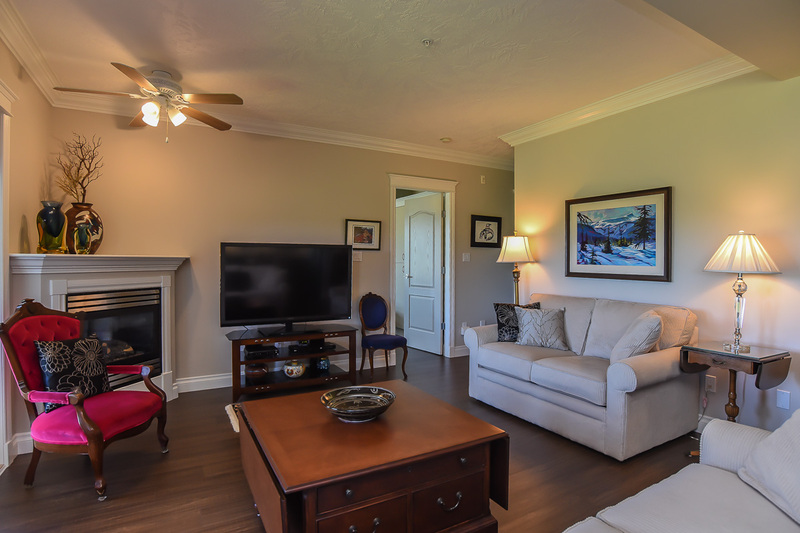 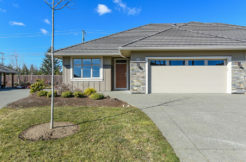 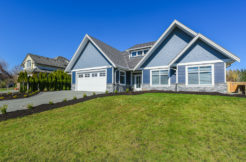 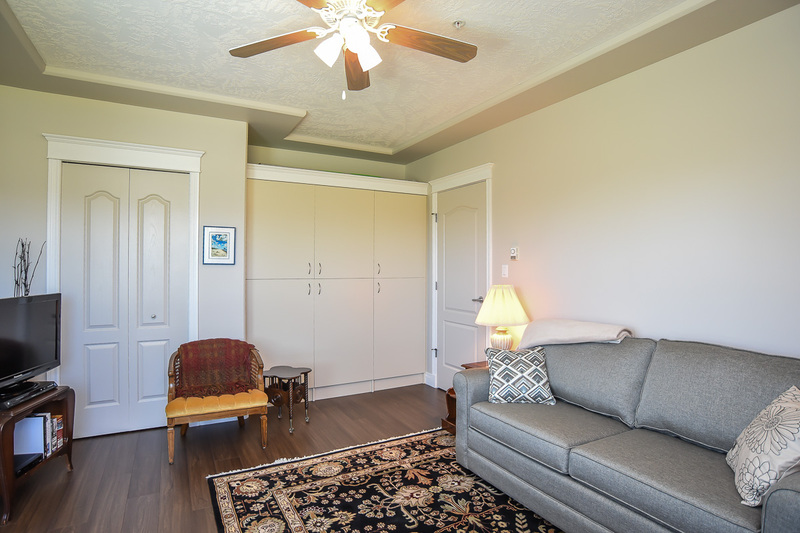 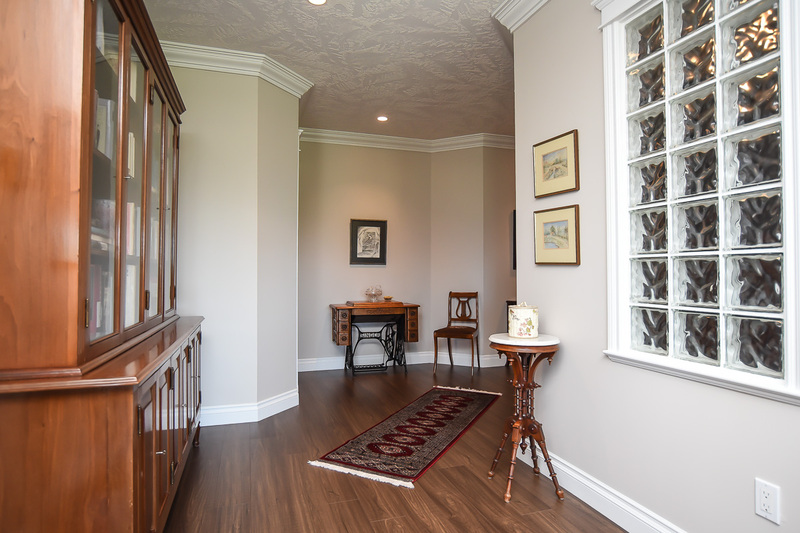 High end commercial grade laminate flooring, rich maple shaker cabinets, granite countertops, heated slate tile for ensuite flooring, crown moulding, stepped ceilings. 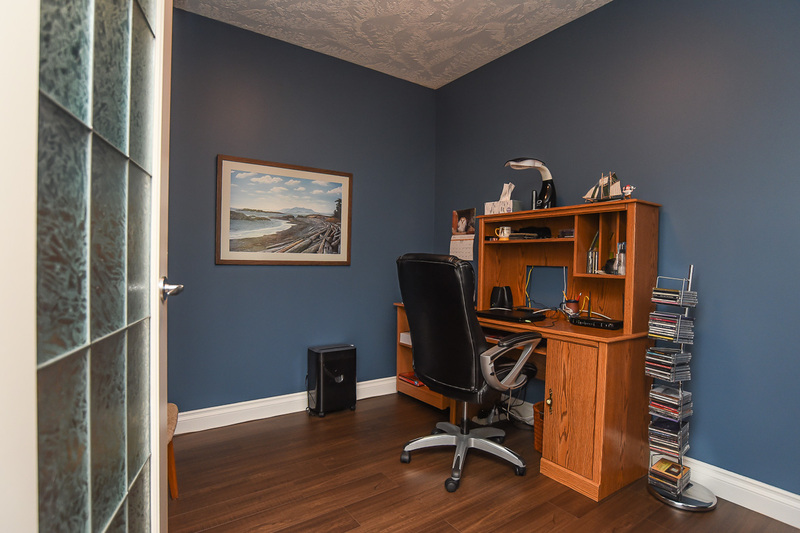 A separate den/office near the entry with glass block detailing to allow natural lighting, the wider hallway opens to the great room with ambient gas fireplace and efficient heating in the winter months. 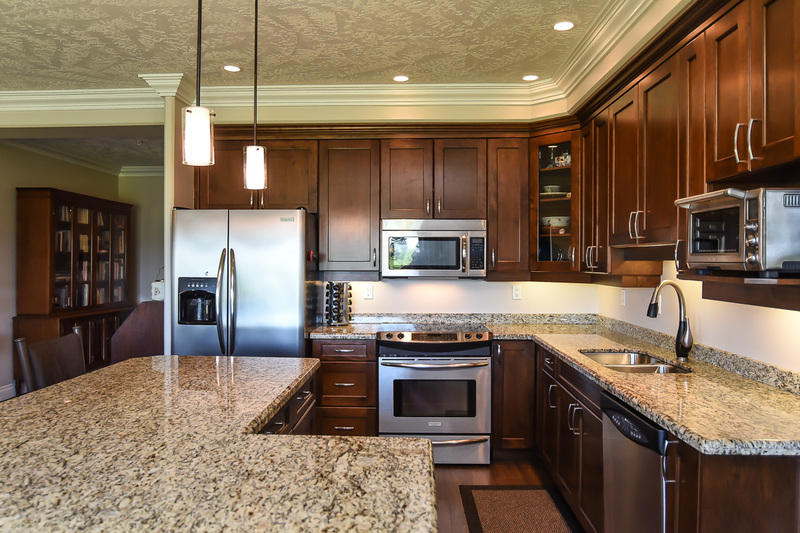 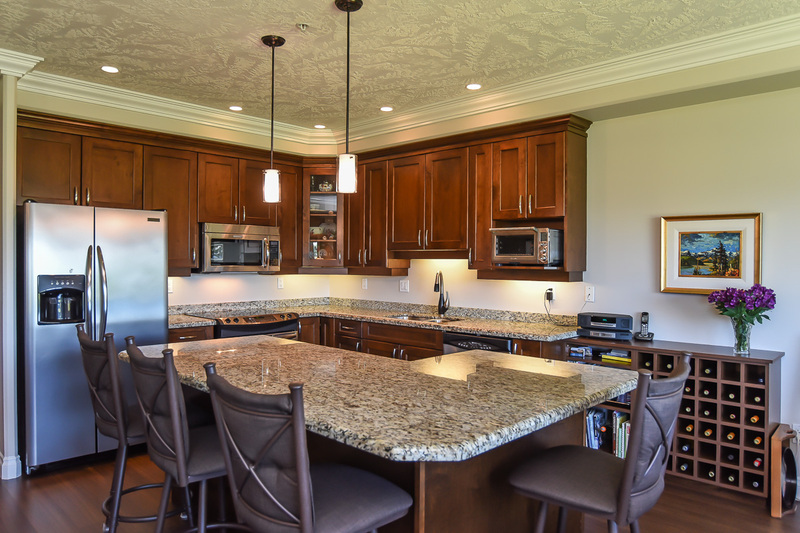 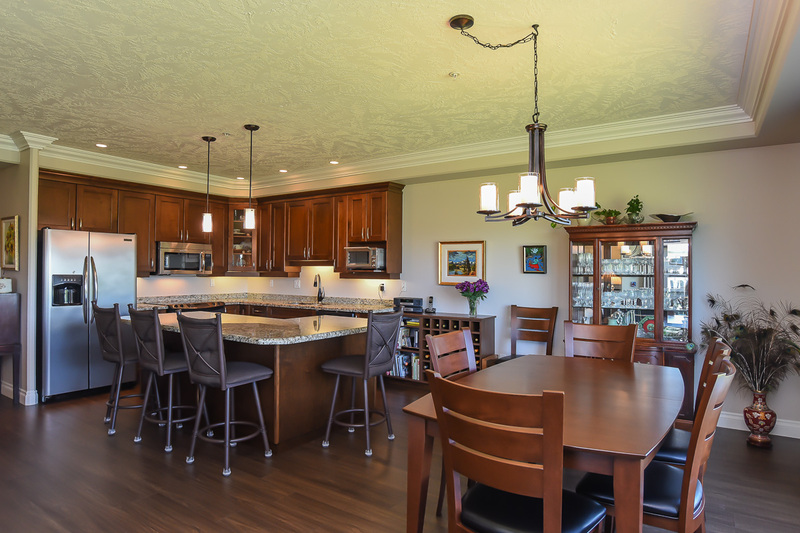 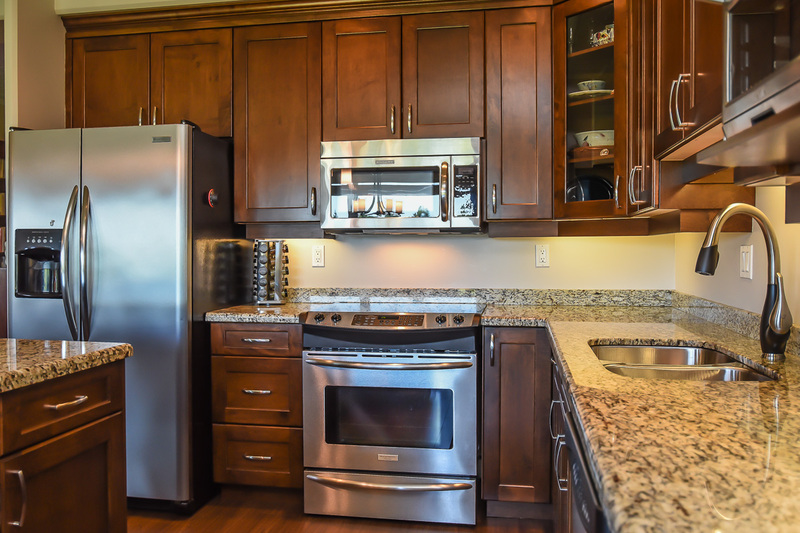 Bright, gourmet kitchen with s/s appliances and large L-shaped island with seating for easy entertaining. 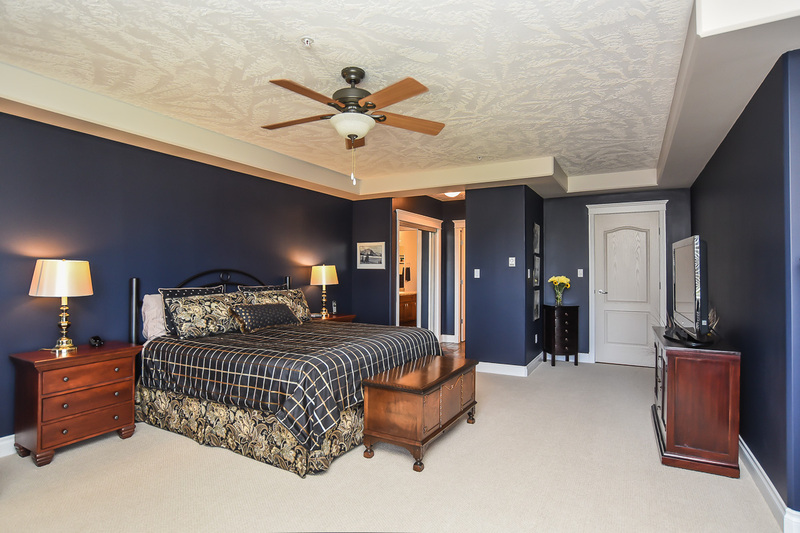 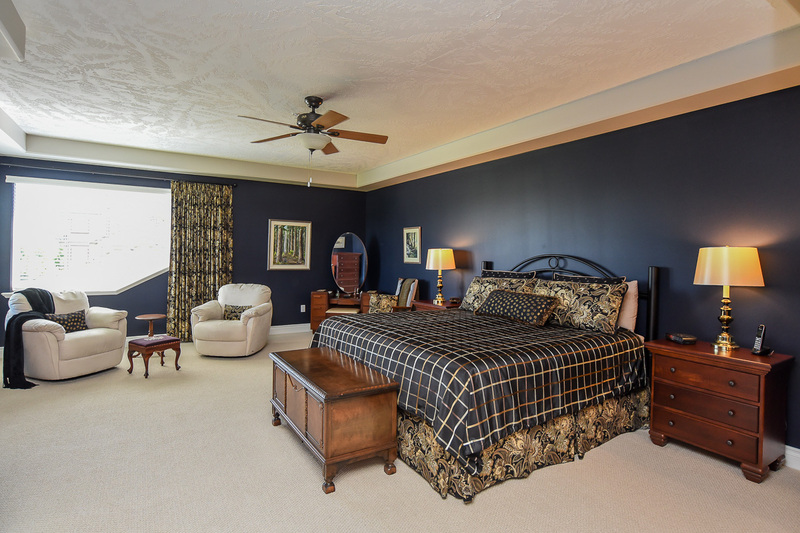 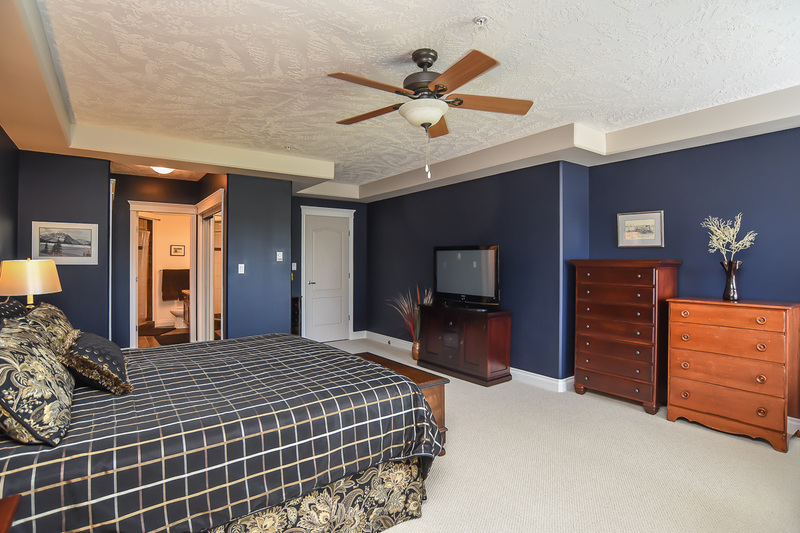 Spacious master bedroom with new carpeting and lovely ensuite with tiled shower and multi jets. 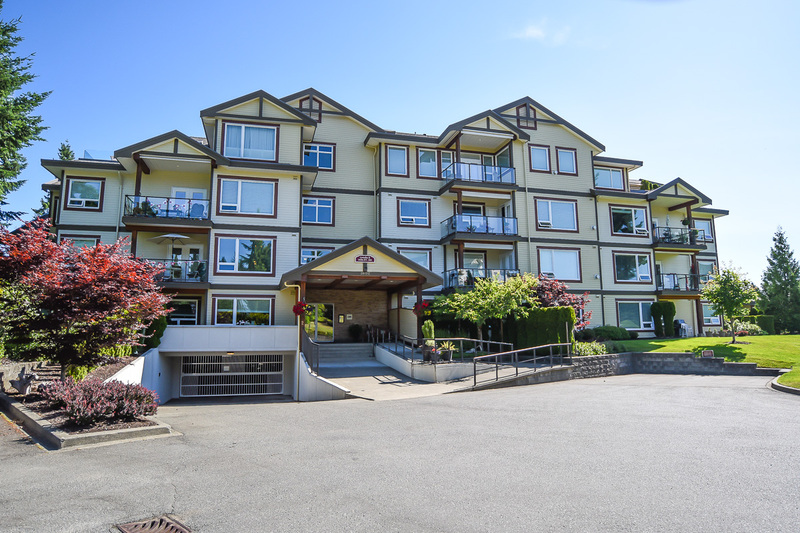 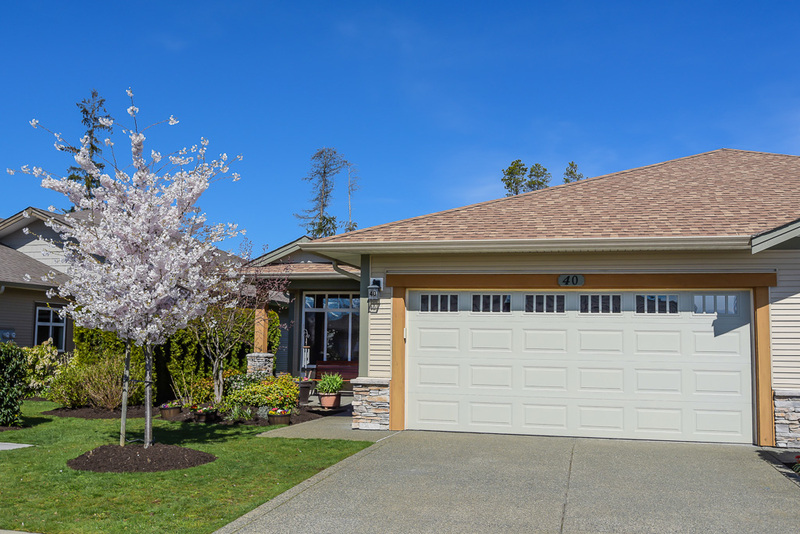 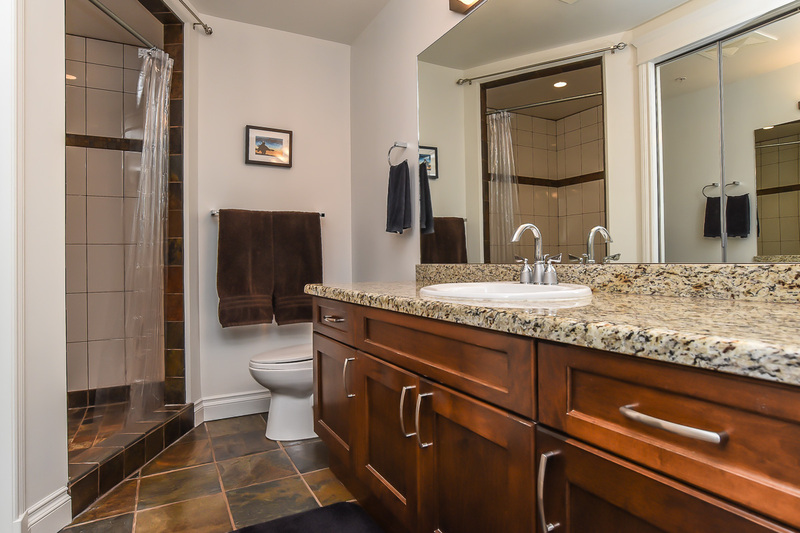 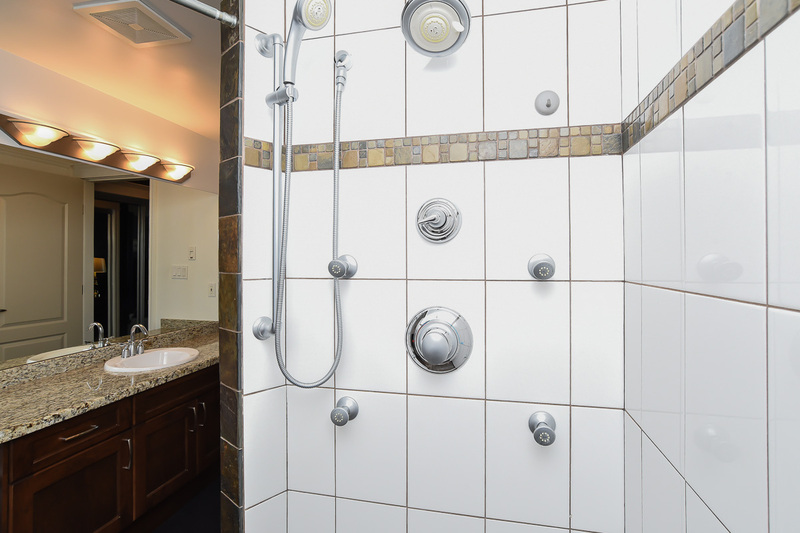 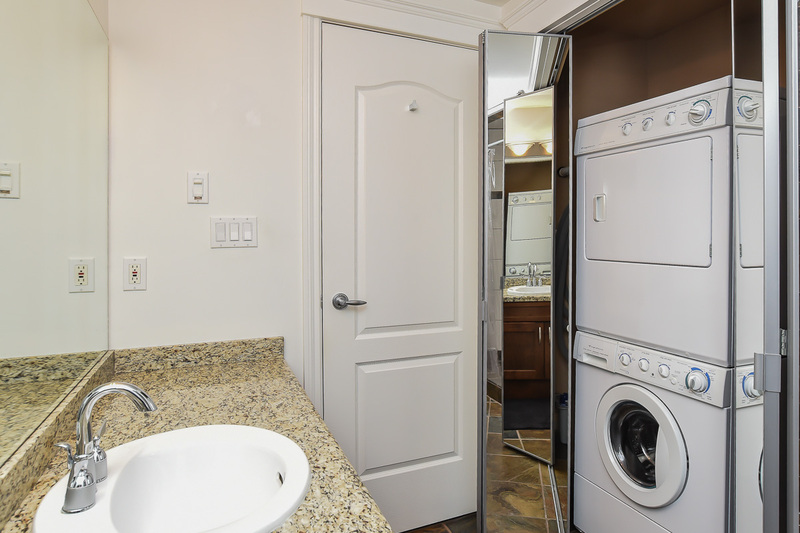 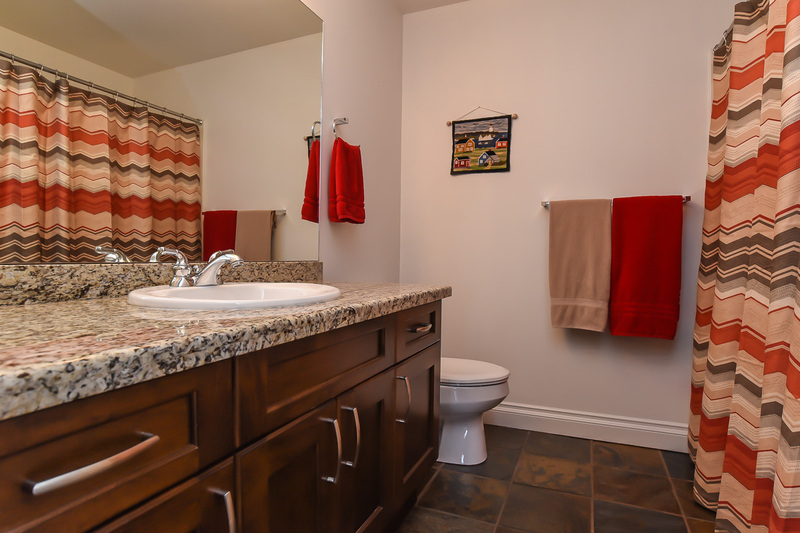 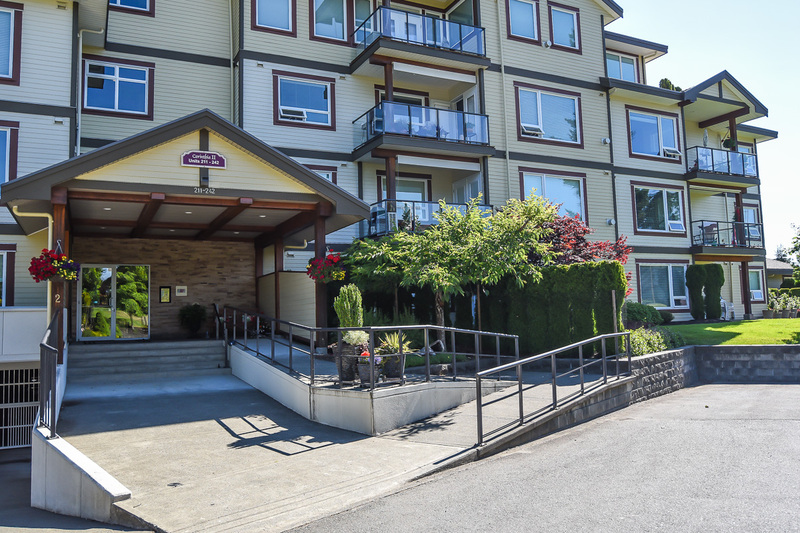 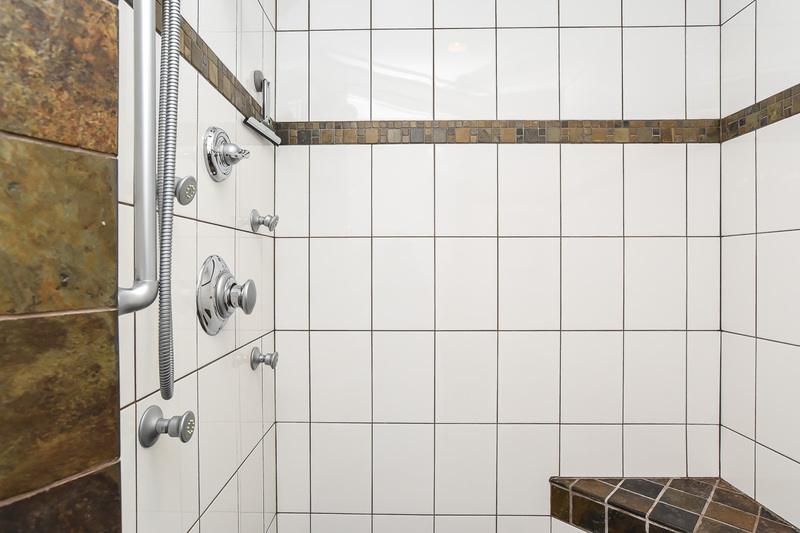 Hot water tank 2015, secure underground parking, a single storage locker, pets & rental restrictions OK.